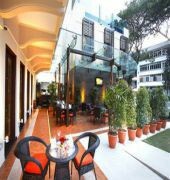 Nostalgia Hotel offers boutique style accommodation in central Singapore, a 15 minute walk from Tiong Bahru MRT Station. It offers an outdoor pool, 3 dining options and free Wi Fi access. 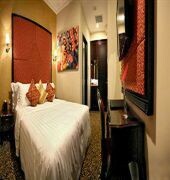 Stylish guestrooms are elegantly furnished to reflect the Singapore colonial heritage. Fully air conditioned, each guestroom is equipped with an iPod dock and a flat screen TV with cable channels. Guests can enjoy free usage of laptops for up to 3 hours daily, and print their documents from anywhere in the hotel and have it sent to their room. Other services include laundry. 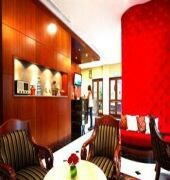 The Nostalgia Hotel Singapore is a Tourist hotel. Located in SINGAPORE area. Shopping is right next door and the nightlife/restaurants are right next to the hotel. 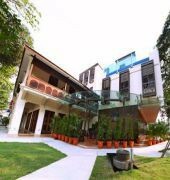 Descriptionclass="small" style="text-align: justify; font-size:11px;">Nostalgia Hotel offers boutique style accommodation in central Singapore, a 15 minute walk from Tiong Bahru MRT Station. 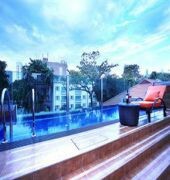 It offers an outdoor pool, 3 dining options and free Wi Fi access. Stylish guestrooms are elegantly furnished to reflect the Singapore colonial heritage. Fully air conditioned, each guestroom is equipped with an iPod dock and a flat screen TV with cable channels. Guests can enjoy free usage of laptops for up to 3 hours daily, and print their documents from anywhere in the hotel and have it sent to their room. Other services include laundry.